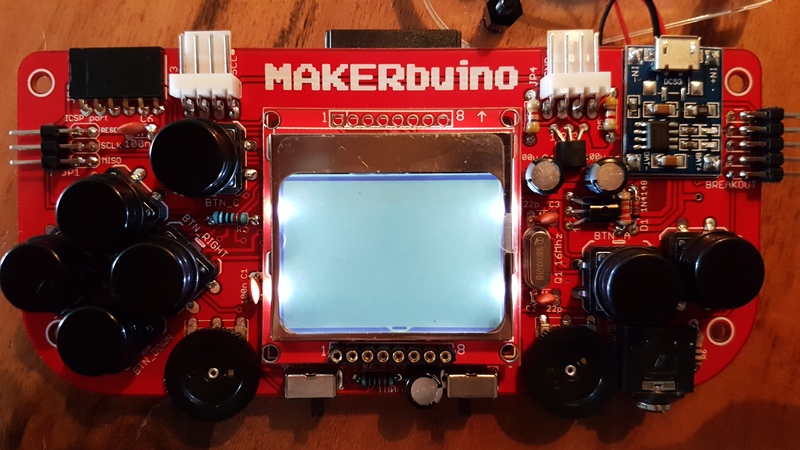 Long time ago I got the Makerbuino Kit (Kickstarter). Today i got time to solder it together. Unfortunately the screen is not showing anything. It just has a black border. Also no sound appears. I tried to reset but also nothing happend. Also tried to pull and push the SD Card to have a good contact. Nothing changed. Do you have any idea whats wrong? Try doing a hard reset like this and keep us posted. 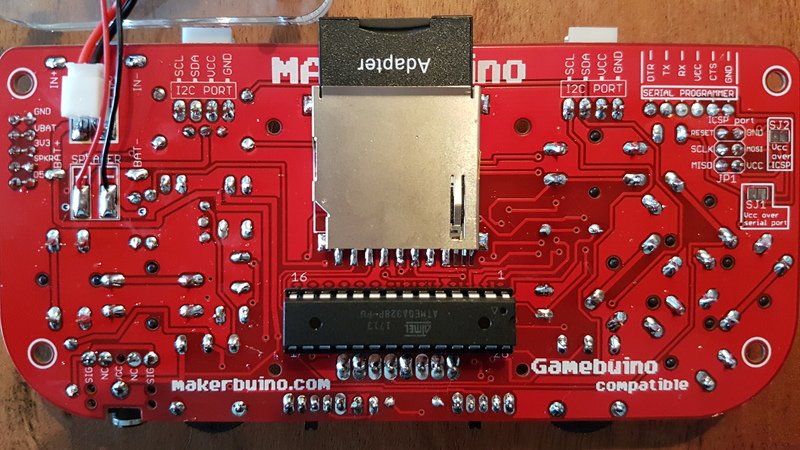 Please, send us photos of your MAKERbuino’s front and back side without the screen and casing. We really cannot help you any further without seeing your soldering work. Also, the screen needs to be fixated with screws in order to maintain optimal contact with the board. screen was fixed with screws. just demounted the screws for the pictures. @Wolfgang, your soldering joints look super-duper, congratulations! Hmm… this is quite unusual, I am not sure what went wrong with your build. Did anything show on the screen when you finished build guide’s step #12? 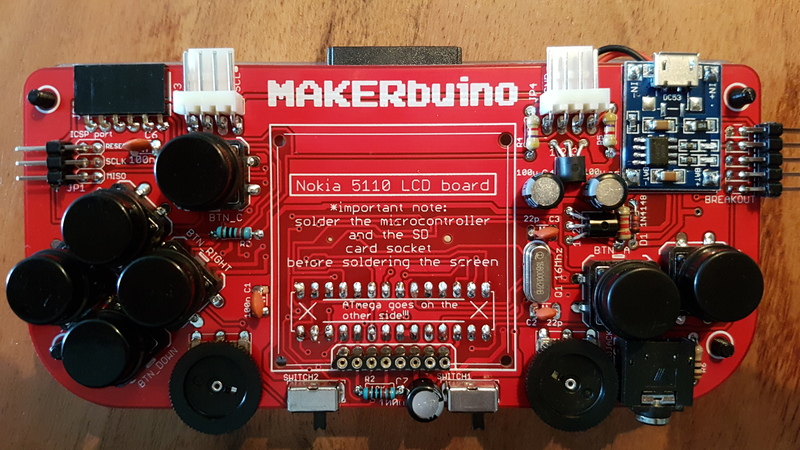 You only need to send us your circuit board. I’ll personally fix your device and get it sent to your address ASAP. Battery was empty so i can’t make the check after step #12. I decided to finish it. charging of the battery was fine but screen showed nothing. I will send it to you. Thanks for your help!